Sign in to OneDrive when you install Office, or right from any Office app. Select Sign in in the upper-right corner of the app, and then enter your Microsoft account email address and password. Open the document you want to save to OneDrive, select File > Save As, choose your OneDrive, and then choose the folder where you want to save the file. For info about creating Office documents in OneDrive using Office Online, see Using Office Online in OneDrive. To optimize OneDrive for use with Office, verify that the "Use Office..." option is selected in OneDrive settings. Click Office, and then select the Use Office to work on files with other people at the same time check box. Note: If you turn off the Use Office to work on files with other people at the same time setting, any changes that you and other people make to Office files will no longer merge together automatically. On the Start screen, enter Programs and select Programs and features. In the list of installed programs, look for MicrosoftOneDrive. If you find it, it means the desktop app is installed on your PC. 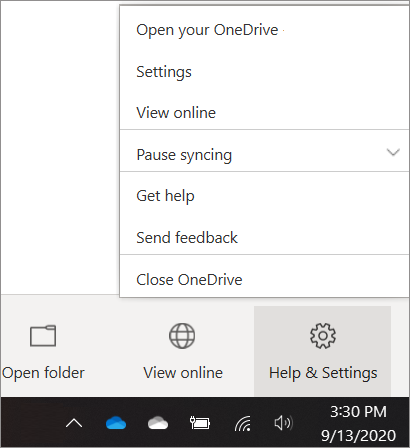 In Windows 8.1, you can install the OneDrive desktop app and turn on a setting that lets you use Office to work on OneDrive documents with other people at the same time. Because OneDrive is built in to Windows 8.1, no other desktop app features will be installed. Download the free desktop app.